This Maharashtrian dish made of groundnuts is typically served as an accompaniment for other dishes such as Sabudana Khichdi. I would like to thank my friend Vidya Baindur for this recipe from her blog . 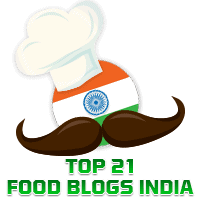 Here you can check out a number of tasty Konkani and Maharashtrian dishes. Roast groundnuts, remove the skin and powder it. Grind 1 wati of roasted groundnuts powder with the boiled potato cut into pieces, jeera and chopped green chillies, with water. Make a fine paste of this. Add as much water as you would need for a kadhi. Next make a tadka of ghee, jeera, curry patta and finely chopped green chilly. Pour it in the boiled kadhi. Serve after garnishing with dhania leaves.